It seems we did not have to wait after all for the official reveal later this month since the following tweet most certainly confirms a second season of characters DLC is on the way to Dragon Ball FighterZ. While there are several candidates available to pick from the Universe 11 team, our top Nintendo Life Dragon Ball experts assure us that this means Jiren will be the first of the new DLC additions to the 2019 roster. With no specific platform confirmations as of yet, there is also a big chance the new action RPG set in the Dragon Ball Z universe will also come to Nintendo's hybrid console. We look forward to the FighterZ finals for all official confirmations near the end of this month. Are you still screaming at the TV while playing Dragon Ball Fighter Z on the Switch? Do you believe Top would be a better choice than Jiren? Anyone you would like to see added to the roster in 2019? Have your 'sayian' in the comments below. New DBZ RPG? PLEASE PLEASE PLEASE PLEASE PLEASE BE THE SEQUEL TO ATTACK OF THE SAIYANS!!! When the subtitle is more interesting than the title! 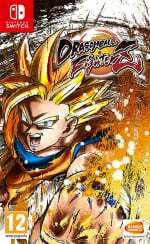 I would love a Dragon Ball Z RPG on the Switch. Dragon Ball Fusion was nice, I would buy it again for Switch if they ported that from 3DS. @bigcalsworld Action RPG open world? yes please! A Dragon Ball RPG would be pretty interesting to me. But I hope it isn't just Xenoverse 3. That game was 98% fighting game 2% RPG. I was pretty big into Dragon Ball and Dragon Ball Z as a kid. But I tried watching Super and I just could not get into it. I felt that all previously established strengths of the characters were thrown in the trash. There is massive inconsistency with even itself. Back in Dragon Ball, when Goku first became a Super Sayian... that was such an epic event! And the fight with Freiza being so crazy that it killed the planet! When Vegeta, and then Gohan first did it, both had to fight really hard to do it! Loads of intense training. And when Gohan was the first to successfully push beyond that level, it was the culmination of several seasons suggesting he had a hidden, latent power. It's probably rose colored lenses and growing up and opinions changing to some extent... but still. Back on topic though, I would be interested in a Dragon Ball RPG of some sort. Even if I am not big on their more recent material in the anime. Meh... I hope not a Xenoverse 3. Xenoverse was bad. Xenoverse 2 was ok but neither of them was really good. I much rather had a new Budokai Tenkaichi like 3 on the PS2 and Wii but now with updated engine, fancier graphics and characters from Dragon Ball Super. For this I would honestly pay 100 dollars up front. Loved to play Budokai Tenkaichi with my friends back then. Tenkaichi 3 is still one of my favorite fighting games of all time. The amount of characters, storymode, maps, different fighter styles, tournaments was mind blowing and amazing. Games like Xenoverse feel just empty and like a fast cash grab compared to this. Still, gotta say Fighter Z is a really good game. Reminds me a bit of Budokai, without the Tenkaichi part. Still... DO A BUDOKAI TENKAICHI 4 Bandai Namco. 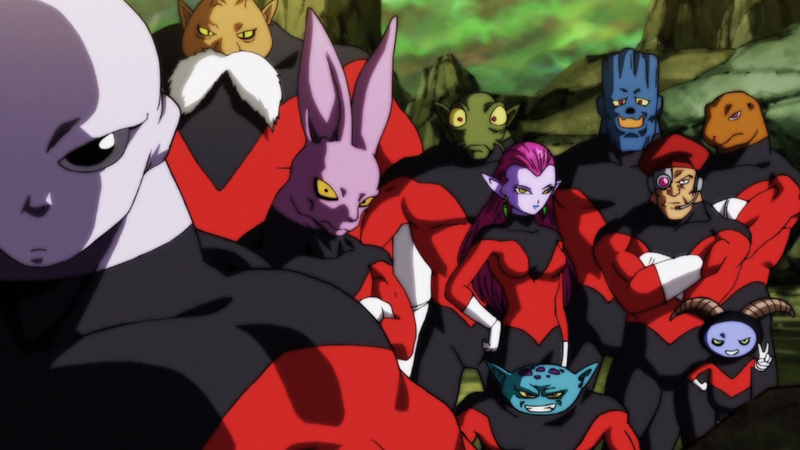 Ewww, universe 11. Please nothing more from Super. Jiren, Toppo and Dyspo are the only 3 worth mentioning. Even then they're all rocking the same bland outfits. Sigh. I need somebody to drag Naoko Takeuchi out of retirement again. Her kids have to be grown by now right? Dragonball Action RPG!? If its ANYTHING like Dragonball Fusions - I'm sold. That game was surprisingly addictive. But even more than that - anything they come up with will be pretty darn cool if its open world-focused! Just... please make the fighting mechanics easy to learn but hard to master! Like with DB Budokai Tenkaichi 2-3! Say whaaaaat! I've wanted a DBZ ARPG for as long as I can remember. There was that beat em up that came out on Gamecube but, ultimately it wasn't very good. Just ok. I'm really stoked to see this one. Isn't this game suppose to come from Dragon Ball Z serie ? So why add fighters from DBS ?